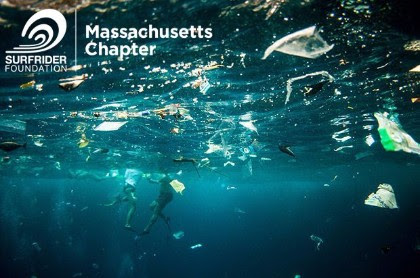 The Surfrider Foundation Massachusetts Chapter successfully supported a bag ordinance in the city of Boston. UPDATE: Boston's Mayor Walsh has signed the single-use bag reduction ordinance into law! What a great way to send off 2017, and bring in a new year with even more momentum to pass the statewide bill! UPDATE: By a 12-0 vote on 11/29/17, the Boston City Council has approved a ban on thin-film single-use plastic checkout bags! This ordinance must now be signed by Mayor Marty Walsh in order to become law. You can send him a message asking for his support as part of this final push! As written, this proposed ordinance bans plastic bags under 3ml and institutes a $0.05 charge to customers for all other checkout bags dispersed by retail shops at the point of sale, thus encouraging customers to bring reusable bags and limiting the needless waste that single-use bags produce! This thin-film bag ban would have tremendous positive environmental impacts by reducing single-use carryout bags that often end up in the ocean. Surfrider thanks Councilor Matt O'Malley and City Council President Michelle Wu, who are championing this effort. g. “Reusable Bag” means a bag with handles that is specifically designed and manufactured for multiple reuse and is either polyester, polypropylene, cotton or other durable material, or durable plastic that is at least 3.0 mils in thickness and is machine washable. We are also joining other area advocates in recommending that the fee be raised from $0.05 to $0.10. Surfrider member Kanti Chakrabarti attended a hearing on Tuesday, December 13th, 2016 at Boston City Hall to testify in person. If you live, play, visit, work in or love on Boston...now is the time to help #banthebag to protect its waters & environment! The Council voted UNANIMOUSLY in support of this ordinance on November 29, 2017. Stay tuned to the Mass Chapter's Facebook page for updates and additional opportunities to engage. Another important way to support our work is to join or renew your Surfrider Foundation membership, and come get active with our chapter! Email our chair for information on monthly meetings and other ways to engage. Rise Above Plastics is designed to eliminate the impacts of plastics in the marine environment by raising awareness about the dangers of plastic pollution and by advocating for a reduction of single-use plastics and the recycling of all plastics.